Ms. Rolfe is a Training Associate at HRiA. 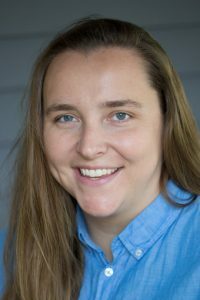 Currently, she works on the Opioid Overdose Prevention Training Project, developing and refining training curricula, conducting in-person trainings, and providing technical assistance to staff of target organizations and programs across Massachusetts. Before joining HRiA, she worked at Boston Public Health Commission’s PAATHS Program and AHOPE Needle Exchange, and the Massachusetts Department of Public Health’s Opioid Overdose Prevention Program. Through this work, she gained extensive experience in substance use, addiction, harm reduction, and overdose prevention. She also has experience developing policy manuals, training curricula, and evaluation plans for community health programs addressing overdose prevention, substance use, and HIV/AIDS. She is passionate about delivering outcome-oriented health services within a social justice framework. Ms. Rolfe has a Master of Social Work degree, with concentrations in health and public health policy from Boston College School of Social Work.